10% off FIRST appointment. Not valid with any other offer. 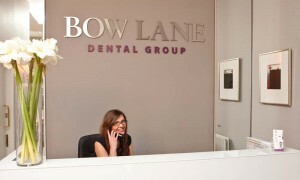 Bow Lane Dental Group is based in the HEART OF THE CITY. We are one of the leading dental practices in the UK offering a wide variety treatments for naturally beautiful smiles. Take advantage of this offer of 10% off FIRST appointment. Terms and conditions apply. To redeem this offer: Quote ‘Cheapside Privilege Card’ at the time of booking your appointment and present your Privilege Card on arrival. Not valid in conjunction with any other offer or promotion.